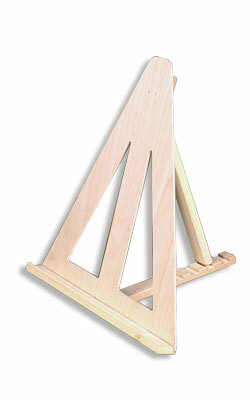 This little design has many uses, from sketching to painting to displaying. Standing 18 1/2" high, 17" wide with a depth of 14". Equipt with a 17” long tray. The back leg will adjust to 4 different angle settings. 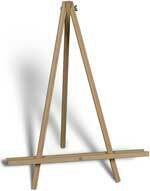 This easel folds flat for immediate storage and is shipped fully assembled. Weight 4 lbs~ carton dimensions 20"x18"x3"